TouchCentric » WUNC App is in the App Store! 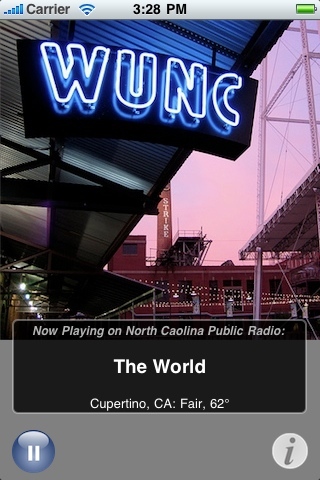 WUNC App is in the App Store! If you listen to WUNC at all, you’ll be hearing about this on-air once or twice, I bet. This entry was posted on Sunday, December 6th, 2009 at 7:27 pm	and is filed under iPhone Development. You can follow any responses to this entry through the RSS 2.0 feed. You can leave a response, or trackback from your own site.